What's in the National Electrical Code? This Issue's Featured Employee is...Mike Wolf. When it comes to mission statements, Rowan Electric’s is simple: We are a Ministry. The word “ministry” is commonly attributed with biblical connotations; according to the Merriam-Webster, it is synonymous with the word “service”. To expand on the statement, Rowan Electric functions to consider and give preference not only to the needs of our clients, but to each other, and to our community. In reading this, you may find it indulgent on my part to write something so overtly Christian. But when considering the basic ethics of human interaction found in the Golden Rule, “Do unto others as you would have them do unto you” (also a biblical principle – see Matthew 7:12), it should support the idea that ministry is about applying our best effort for the care and consideration of others. Service isn’t a new idea, nor is it radical, but our methodology is decidedly intentional. By identifying what is most valued and important to those we associate with, the individual motivation of every Rowan Team Member becomes this: meeting needs and exceeding expectations while systematically conducting ourselves in a manner that is above reproach. We are a Ministry is a statement born out of our spiritual conviction; serving others is an action we choose every day; it’s a race we run until we reach the finish line – wish us luck with that endeavor. From exciting projects to new team members, it has been a big year in the Service Department. A few noteworthy projects that have been completed this year: Legoland People Counter, Lockheed Martin, Naval Air Facility (El Centro), and Poth Yoga. The Legoland project consisted of eight attractions with multiple counters and exposed pipe work with intricate bend requirements. Lockheed Martin was a 12,500-sq. ft. tenant improvement including two large labs and a state of the art Video Training Facility. The lead for this project was Charles Blake. Charles was also lead for Naval Air Facility (El Centro). This project involved very large mechanical unit upgrades, additions in two large multi-unit structures, and upgrading the main services and single line. Poth Yoga was a 4,000-sq. ft. complete remodel. It was a very involved lighting and control project to meet current lighting requirements, and was led by Aaron Travis. In February of this year, Apple Nez moved over to the Service Department from Accounts Payable and Payroll. Apple has worked in the construction industry for 10 years and has been with Rowan Electric since 2012. With twelve years of experience working in accounting under her belt, Apple has taken on doing all the financials for the Service Department, from billing to payables. Also joining the Service team back in March of this year was Tom Eisenhart. Tom has over 25 years’ experience working as an electrician, and previously work Rowan Electric from 1996-2001. Between then and now, Tom was living in Florida and running his own business before deciding to make the move back to San Diego. In addition to new officer personnel, the Service department had added two new vans to the fleet. 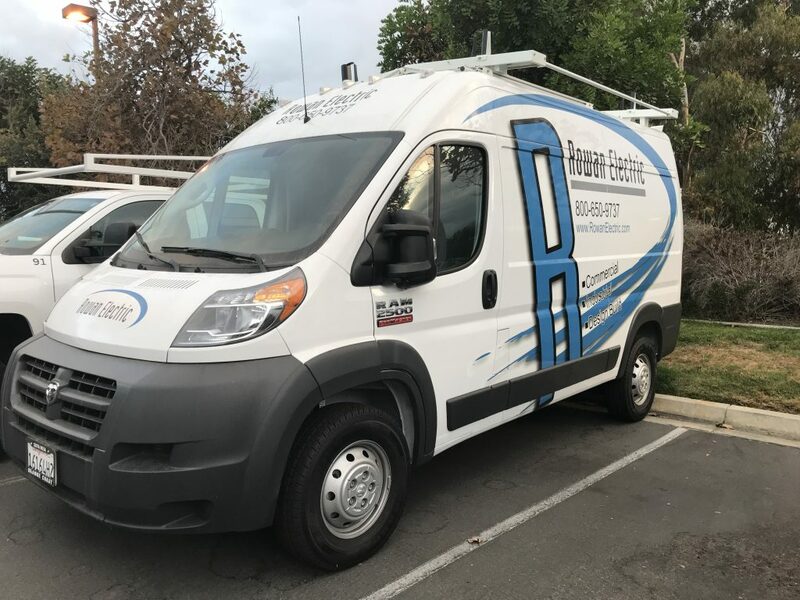 Now, with over fifteen fully equipped vehicles, Rowan Electric’s Service Department is ready to respond to clients’ needs, from 24-hour emergency calls to AT, Infrared, and Data Logging. A couple of new faces have joined the office over the past couple of months. In our Estimating Department Debbie Schmautz has come onboard as an Estimator. Debbie comes to Rowan Electric with 33 years of experience in the San Diego electrical industry. Over in our Accounting Department, Sharon Perry has joined the team taking over Accounts Payable and Payroll. Sharon comes to Rowan with more than 20 years of administrative experience; this is Sharon’s first venture into the electrical field. In other news, Rowan Electric recently joined forces with ESub and participated in a promotional video. The video features interviews with Vice President Mark Rowan, Project Manager Chris Sweeney, and Foreman Tim Hanson. Projects featured in the video are Block 19 and Town Place Suites. 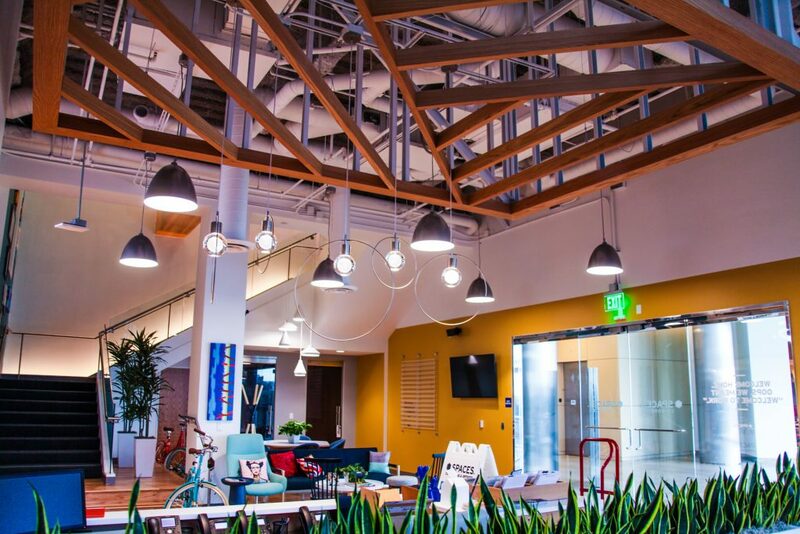 As the number of startups and individual entrepreneurships increase in San Diego, so has the desire and need for office space. At the business forefront for shared office space is the worldwide, multimillion-dollar corporation, Regus. 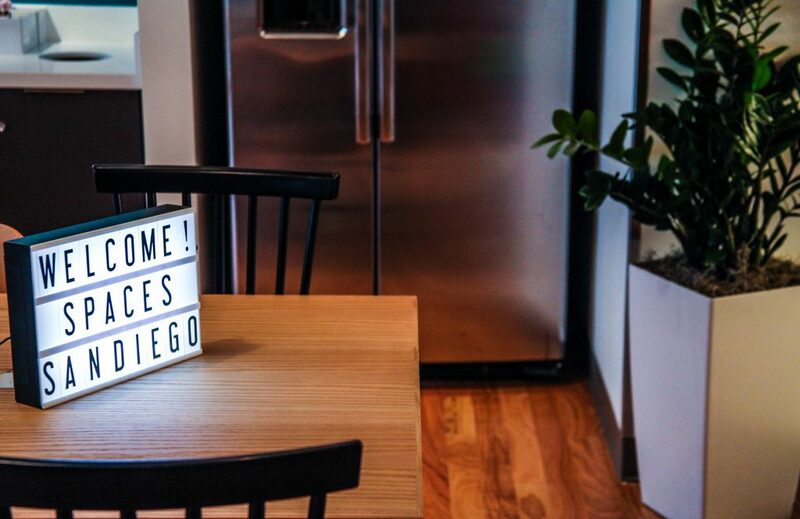 Regus operates by leasing spaces – a floor or two of a building – from a property manager, then subleasing smaller units within that space to small businesses. 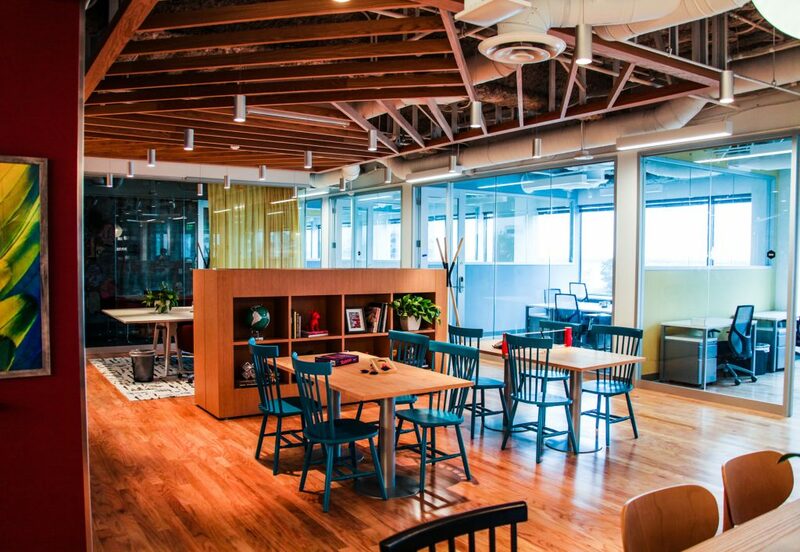 DCT Project Manager, Chris Lathrop, describes Regus as, “Providing the big-time business feel for smaller companies, by providing breakrooms, conference rooms, and other amenities.” According to Chris, these amenities help to draw in startups that want to show clients, investors, etc. what their company has to offer. It’s an ideal fit for the modern business community. San Diego’s growing economy, strengthened by factors such as the military and desirable weather, is attracting more business – large and small – to the area. 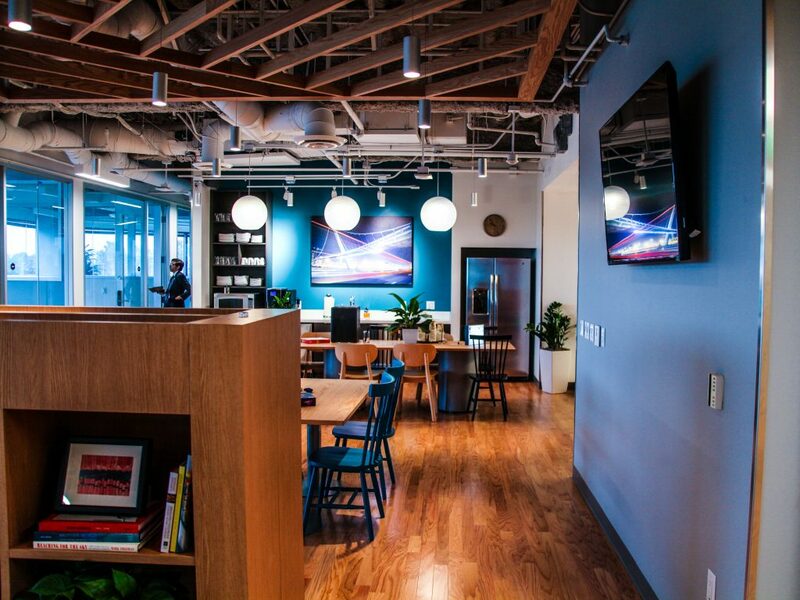 In lieu of renting out their own buildings, where the cost of rent, furniture, office tech, and upkeep can eat away at the bottom line of a new company, Regus fills in by providing fully furnished office and meeting spaces, coupled with the support to manage and maintain the space as a whole. 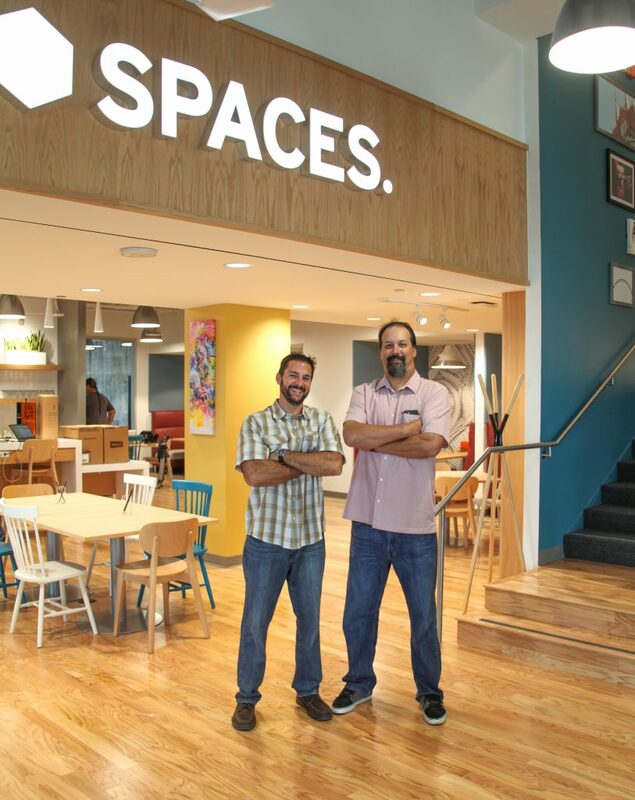 Subletting companies pay rent for the space they are leasing, allowing them to save and invest more in their own growth. The entire perimeter of the building that houses this location, as well as all the offices on the second level, is comprised of glass. 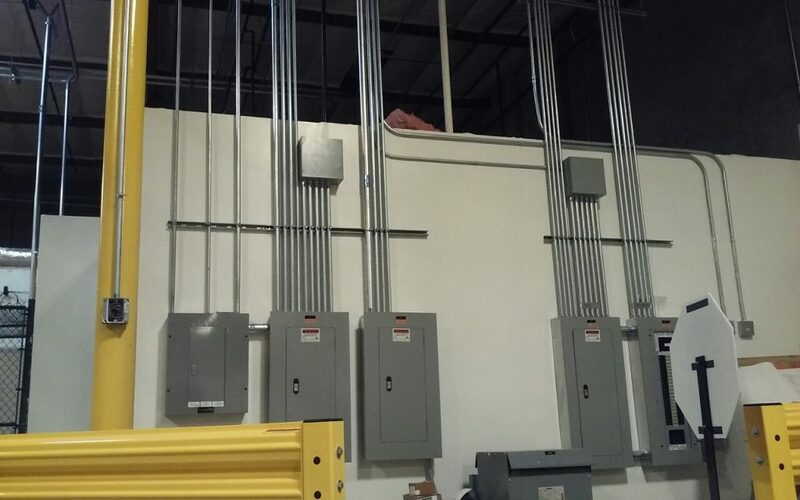 Rowan Electric’s electricians had limited space to route circuity to offices. While glass offices help maintain a feeling of openness on the second level, Scott notes that this aesthetic design, “made lighting control difficult because most of our controls now work by motion, so we had to do simulation setups to ensure the switches wouldn’t trigger if someone is in the office next-door.” An open ceiling concept on the main floor made overhead lighting a challenge due to the client’s design priority that all exposed conduit work be placed discreetly in order to maintain a look of effortless minimalism. Light fixtures were suspended from an eighteen-foot deck drop between the two floors. According to Chris, these challenges were easily overcome by Rowan Electric’s experience and professionalism. 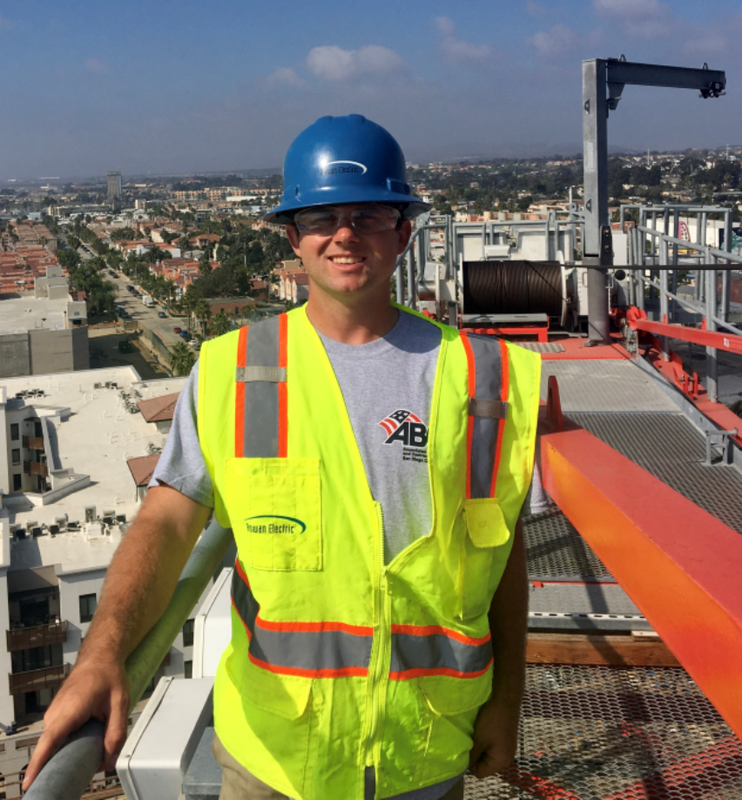 For Service Electrician and Project Lead, Grant Baker, time was the biggest hurdle, “The biggest challenge was the fast pace schedule. And we overcame it by planning ahead with manpower and material, so I could keep the large crew working efficiently and quickly in order to finish on time.” Although the project initially called for a four-month schedule, it was requested that the team complete the job in half the allotted time. Detailed coordination and communication were key elements to a strong finish. 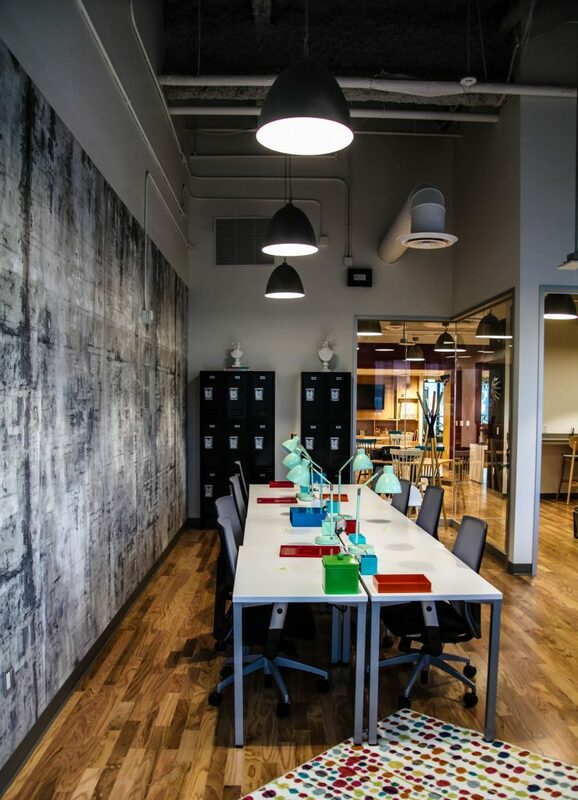 The result is a trendy, modern work-space environment featuring a wide variety of unique light fixtures that will impress anyone who walks into the office. “I can always rely on Rowan to come through regardless a project’s schedule or time constraints,” says Chris. Through commitment, foresight, and hard work, we look forward to many future endeavors that are as successful and rewarding as Regus. DCT and Rowan Electric have been working together for over ten years. 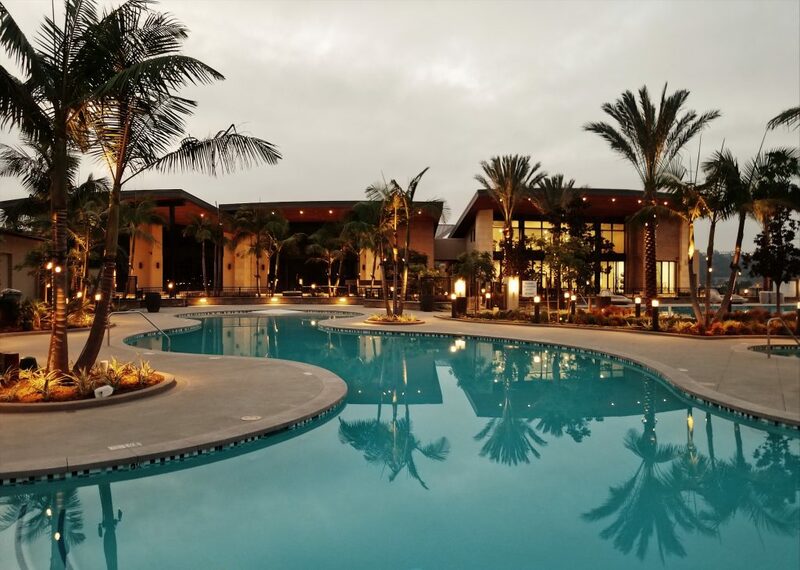 A number of large projects have been wrapping up over the last quarter, including Amazon, Breakwater, Civita, and Azusa Pacific. Amazon was a fast track improvement of 90,000-sq. ft. DSD3 Delivery Station warehouse in National City. Five acre, five building, Breakwater in Imperial Beach is home to a grocery store, retail shops, and restaurants. The project lasted for 14 months, during which Rowan Electric installed parking and decorative site lighting, and completed electrical services with house power at each building in preparation for future retail/restaurant tenants. This was in addition to completing the tenant improvement for Grocery Outlet. The Civita project sits on 2.5 acres, and is home to a new Recreation Center and pool area for the Civita community. The scope of work for the project included the extension and tie-in of Dry Utilities to the new buildings. The rec center houses common and fitness areas, while the pool building houses bathrooms and changing rooms. Both incorporate extensive decorative site lighting. The Azusa Pacific tenant improvement was completed for White Construction. Located in Mission Valley, it comprised of renovating approximately 25,000 sq. ft. of space for nurse education and administration offices in a three-story building. The project was completed in 120 days. In January of this year, the state of California adopted the 2014 version of the National Electrical Code. Even though this is 3 years behind the most recent version of what is now the 2017 NEC, California takes the time to vet many of the changes and watch from a distance how other State and AHJ’s adopt and interpret the changes that come every three years to the National Electrical Code. Over 115 changes have hit the NEC from 2011 to 2014, so let’s take a look at one of these changes. be listed and where installed on an enclosure supported from grade as described in 314.23(B) or as described in 314.23(F) shall be identified as “extra duty.” All 15 and 20 ampere, 125- and 250-volt unlocking type receptacles shall be listed as weather-resistant type. The 2011 NEC required that all 15 and 20 ampere receptacles in a wet location be of the “extra duty” type, but only for Non-Dwelling units. The change in this version was the requirement of “extra duty” and delineated between Non-Dwelling units and Dwelling units. In this version of the NEC, they leveled the playing field between Dwelling units and Non-Dwelling units and required that all 15 and 20 ampere receptacles in a wet location be of the “extra duty” type. duty” could not hold up to the use. 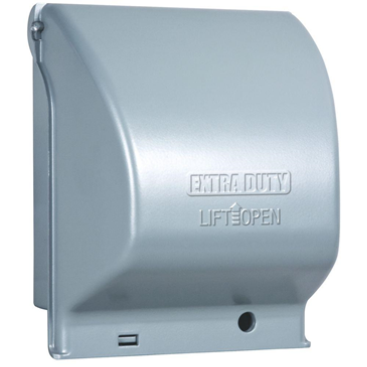 Consistently having locked hinges and broken covers left the receptacle exposed to the weather and wet location and therefore exposing the intended safety behind the “in-use” cover and leaving the receptacle and cord attached equipment exposed to potential damage. Recently, I had the distinct pleasure of sitting down with Mike at Block 19 during one of his breaks (yes, we give breaks – mainly because the state makes us). Since being hired in January of this year, Mike first started working as a ride along for the Service Team. 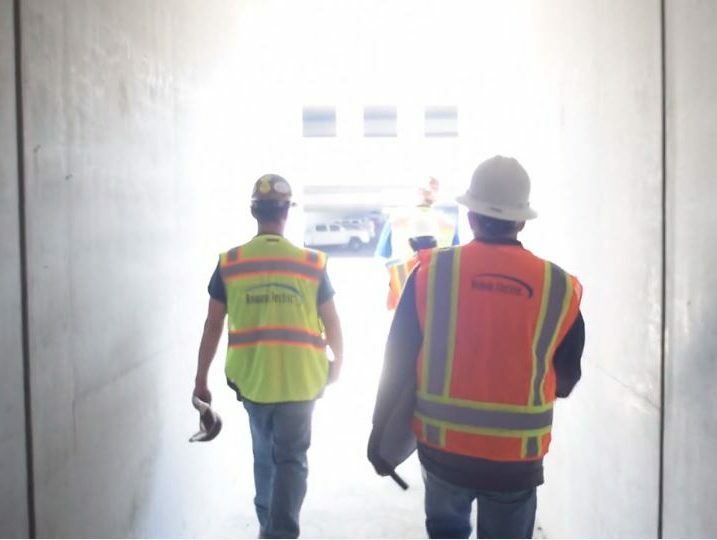 He then transitioned over to the New Construction Team, where he is starting making a name for himself at our Block 19 Project in Oceanside, CA. He’s sharp, has a willingness to learn everything he can, and brings a sense of maturity, that has landed him as one of the leads on this job as a 1st year Apprentice. So, how long have you been with Rowan Electric? I’ve been with Rowan Electric for just over 10 months, and I have learned a great deal in the during this time. I’m working at Block 19, which is an eight-story midrise, multi-use type building. There is also multi-level parking, with commercial spaces available for lease, and residences on floors 3 through 7. Is that contributed because Roger Rakotz is such a cool Foreman? Yes, but mainly it’s because I’m a smart guy. I have a few friends that are in the electrical trade. They always spoke about how much they enjoy it and really love what they do. So, I figured what the heck, I’ll give it a shot. Now that I have been at it for some time, I can say that I really enjoy the trade, and all the different things that are a part of constructing buildings. Besides Tom or Roger, what is it that you like most about Rowan Electric? I am very appreciative of the opportunity I have been given and I really like the other Apprentices that work here. It is very clear that if you work hard and learn all you can, there is a place to grow at Rowan Electric. Most companies don’t offer that. Rowan Electric takes the time to train, and believes very strongly in education. Working along side with Foremen that invest time with those who want to learn, makes it feel like I’m a part of the family. What is that you do for fun? I love fishing – both fresh and saltwater – riding my dirt bike, and traveling. I see myself having graduated from ABC, and working as a Journeyman Electrician here at Rowan Electric, sharing my knowledge and experiences with new, up-and-coming apprentices.